I found the greatest bottle a few days ago…. 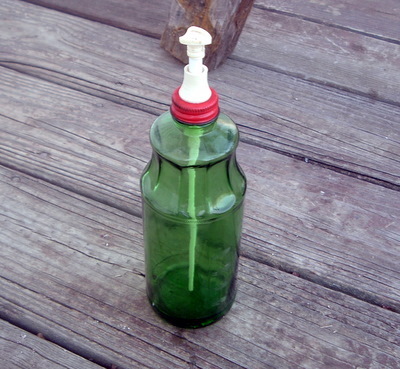 Gorgeous, green, vintage, and a working sprayer…. Yep…jackpot! 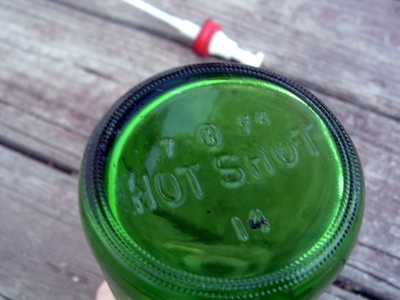 🙂 The bottle had “HOT SHOT” on the bottom. I assume it was a bug spray at one time(?). I decided to use it to beautify my cleaning products! It will hold some all purpose cleaner next to the kitchen sink. That other bottle I have had for years and it has dish washing liquid in it. 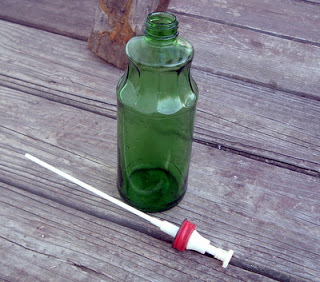 You can also try this great idea for a baseboard cleaner that really works! previous post: What did you get for Christmas?? Neat idea. I like the idea of having cleaning spray within reach. Cute! 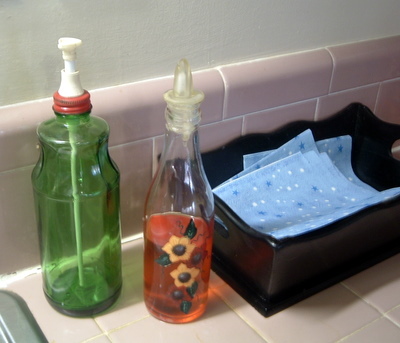 I have a bottle like that by my sink too! love this idea. great find–it’s such a pretty bottle you don’t mind having it on the counter! BRILLIANT! I love this! I found this at another linky and would ADORE it if you linked it up to my Whassup Linky! Love your blog! Hope to see you!